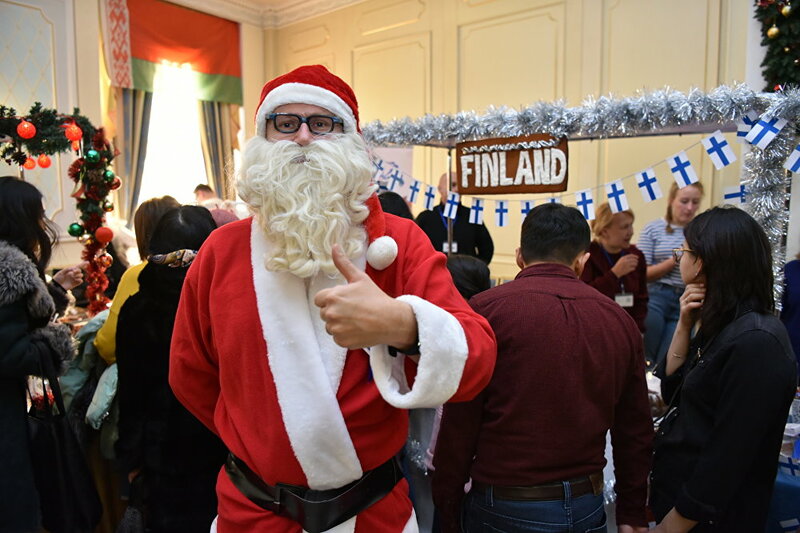 ASTANA – The 11th annual Diplomatic Christmas Charity Bazaar organised by the Ambassadors’ Spouses Association (ASA) took place Dec. 2 in Astana. 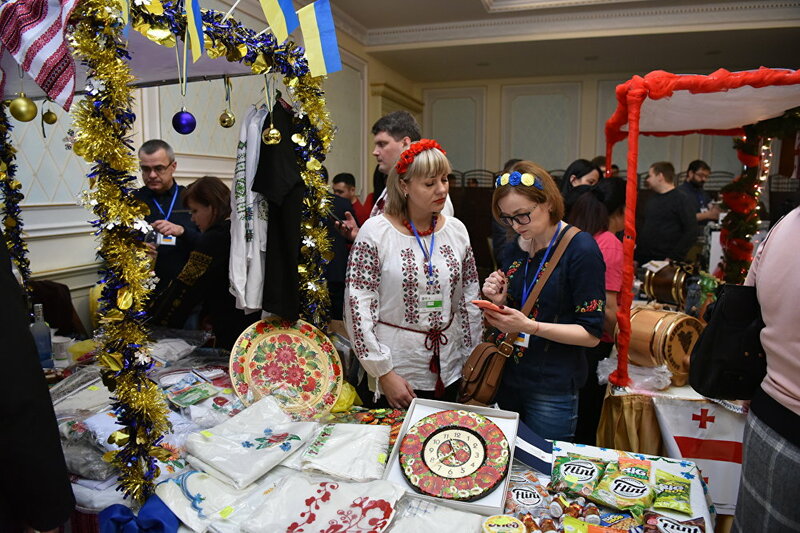 Forty-six embassies, charity organisations and schools sold handicrafts, souvenirs and national products and dishes to support local charities at the bazaar in Astana Radisson Hotel. Thousands attended this year’s bazaar, many of whom took part in the annual lottery. 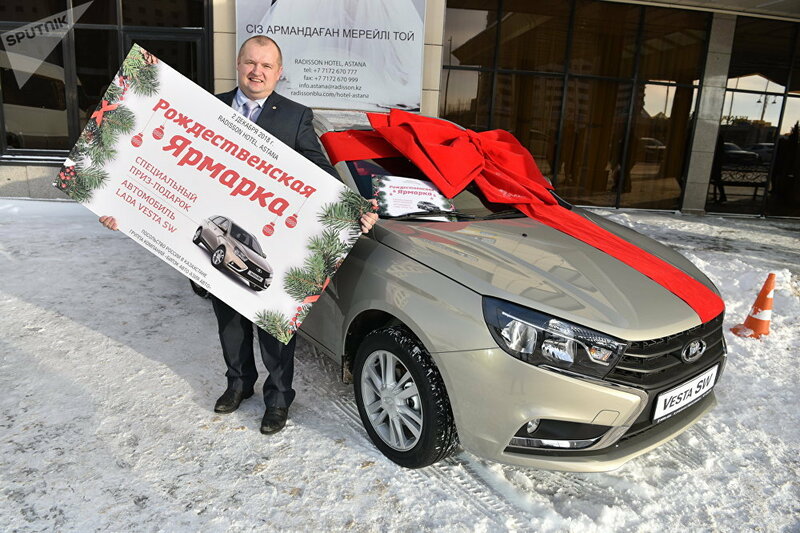 Prizes featured baskets put together by embassies, gift certificates, flight tickets and a Lada car. Last year, approximately 42 million tenge (US$112,154.70) was collected. 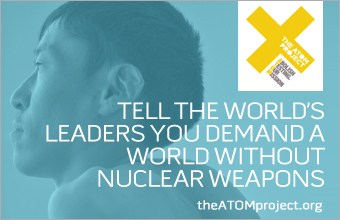 The amount raised this year is approximately 38 million tenge (US$102,465.94). The idea for an event to help people in need and showcase diverse cultures was initiated by ambassadors’ spouses in 2007. Today, it is one of the most anticipated events in the capital and records for the amount of funds raised are set annually. “The Japanese Embassy has been participating in the bazaar since the very start, 11 years ago, and I am participating for the third time,” said the Japanese Ambassador’s spouse Megumi Kawabata, who had been on the charity committee in previous years. 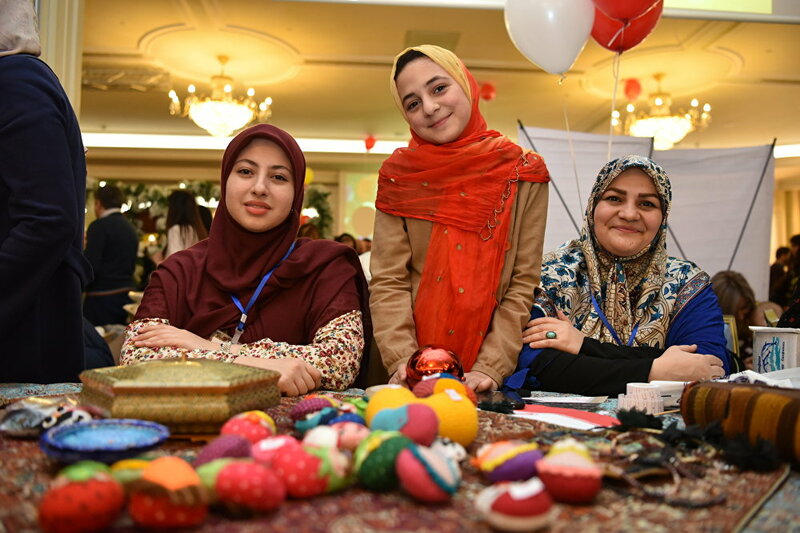 “I think that the bazaar is a good example of how the diplomatic community, across all nations and across all dividing lines, can help charity,” said U.S. Deputy Chief of Mission Theodore Lyng at the event. 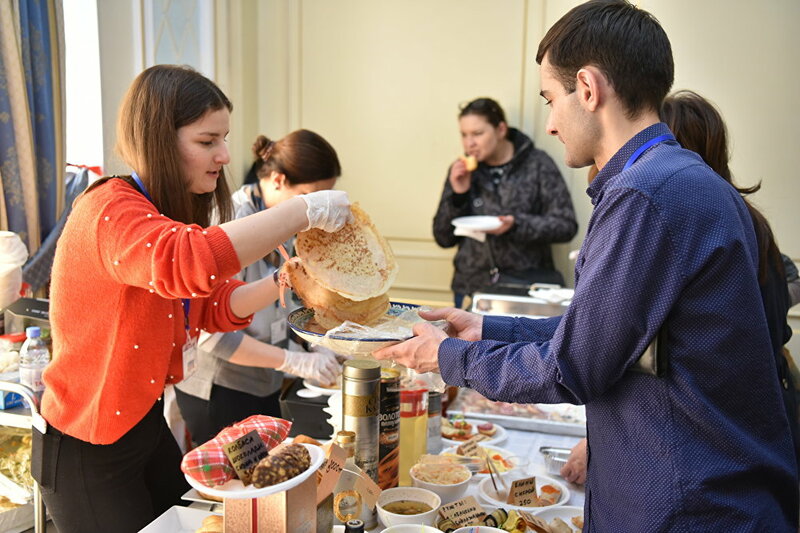 Embassies promote their cultures by selling authentic national products. “A lot of the things are made by people at the embassy and are really homemade, so we wanted to showcase our individual touch and our people-to-people contact with the people of Kazakhstan,” said Lyng on the U.S. bazaar stand. “This year, we are concentrating a lot on handmade ornaments for Christmas trees because a lot of our ornaments with beads are made by hand by craft workers, especially in the Kwazulu-Natal region where they do beautiful beadwork and in the Eastern Cape where they also have a lot of beadwork. Many people are not aware of this but, on our Christmas trees [in South Africa], we have African objects that are made with beadwork, wood and fabric and are handcrafted, which is very unique,” said South African Ambassador to Kazakhstan Keitumetse Seipelo Thandeka Matthews on what her country had to showcase at the bazaar. “Japan has some really lovely porcelain, and the very unique Portuguese jewelry from the north of Portugal that is called filigree caught my eye. At the Malaysian table, they have the silk kaftans which are very beautiful, so there is a lot that I liked. Everybody has something special,” she added.